Last month, I took off a whole week off from work to visit my family, celebrate my brother's graduation, and enjoy my husband's only vacation all year. But I gotta be honest: even writing that sentence makes me nervous. I want to give you a zillion excuses, reasons, and explanations. I want to point all the times I traveled and didn't take time off. I want to tell you how crazy I worked before we left. I want to tell you that I still answered work emails while I was gone. I want to do all this because, for many of us, we feel weird, guilty, or unworthy of taking time off. It's a combination of our emotional attachment to work and producing AND the realities of what it means for our business. Tomorrow in the podcast we're going to talk about the emotional stuff and how to give yourself permission to take time off, but today I want to talk about the practical side of it. 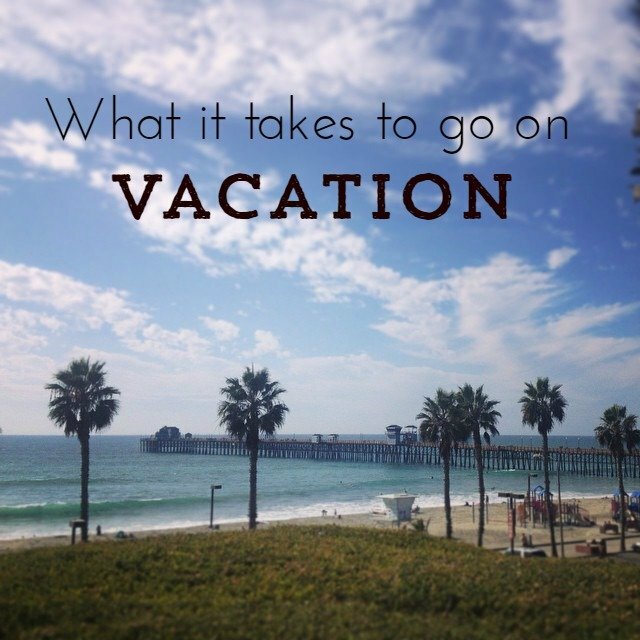 HOW do you actually take time off? How do you step away from your business without it all falling apart? Systems allow you to take time off without your business (and life) falling apart. Now, “systems” might sound serious, but they can be simple. Think of it like this: in order to take time off, you need to know what gets done in a normal week in your business, and either get it done ahead of time, or create a plan for catching up when you return. I knew what to do because I know what I have to do in a normal week. I have a content calendar that I plan about a month in advance and I have a marketing calendar (in the same doc) with important dates noted. I know the time I spend writing, emailing, answering Starship posts, and all the other tiny things that happen in a week. But you can see how taking time off becomes completely impossible if you don't know what you need to do in a week to keep your business moving. If you've never looked at the underlying structure of your days and your business, you won't know what's important (and what can wait). If you just handle the urgent stuff that comes at you, not only can you not take time off, but you also can't grow or change or shift your business around. If you're hoping to take time off for the holidays (which I heartily recommend! ), start with this: list what you do in a normal week. Star the things that you want to be consistent with while you're away (like your communication with your customers: blogging, social media, email list) and the things you can get “ahead” on (production and working on projects). Note the things that can wait a week. Now, make a plan with what you're going to add to THIS week, so you can take time off for the holidays. A system can be that simple, and the more you pay attention to them and improve them, the easier it becomes to take time off, whether it's for fun or an emergency. Learn how to build these systems (and get time off) in Lift Off. It closes on December 31st, so if you're going to take the holidays off, sign up now.